I started creating hemp protein powder recipes for myself, because I had decided to take hemp protein powder as a supplement to my diet. I started taking hemp protein powder as a meal replacement when I was in a hurry or didn't want to cook. I'd take it simply dissolved in some water or herbal teas or sometimes in milk. I quite liked its taste but soon I got bored of these few ways to eat hemp protein powder. So I started experimenting. First I mixed it in hot soups and it was definitely better. Then I decided to become more audacious and make up my own dishes, as I couldn't find much online. Eventually I decided to make this website about the benefits of hemp in general, starting with the benefits of hemp protein powder. I only use natural ingredients. Tha's how I found out about hemp protein powder, by the way. I don't use sweeteners, if you don't want to use sugar or honey, I suggest you try the plant stevia, the actual leaves, better than products derived form it. Some of these recipes will be suitable for vegetarians and vegans, others won't, because hemp is good for everybody, it's not only for vegetarians and vegans. Novità, notizie sulla canapa e prodotti da essa derivati, nuove pagine su PianetaCanapa.com. Hemp News keeps you up-to-date with all additions and changes to the PianetaCanapa.com website. Scarica queste gustose ricette con canapa, oltre 70 idee per pane, pasta, formaggi, frullati, salse, dolci e altro ancora! 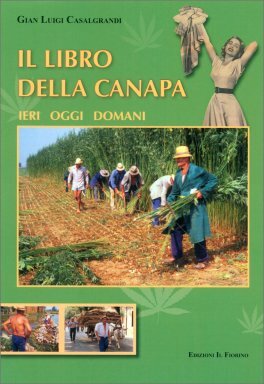 e ricevi informazioni utili sulla canapa e i suoi tantissimi usi! Diventare vegana? Ma le proteine? Come la canapa può aiutare + menu di Natale! Vuoi acquistare proteine della canapa? Sei al posto giusto e risparmi!